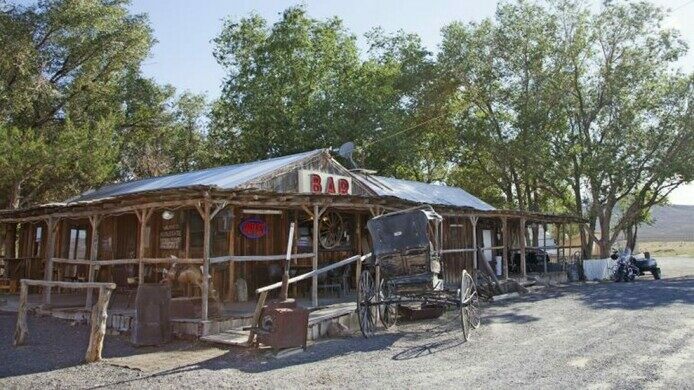 This rustic restaurant in the heart of the Nevada desert, decorated with bull skulls, a neon “BAR” sign, and an antique wagon, is Middlegate Station, a historic eatery created in the 19th century as a stop on the Pony Express. 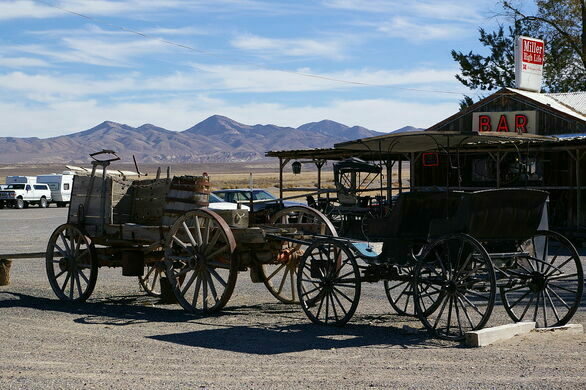 Founded in 1857 by James Simpson, the restaurant that stands today was once an active station and rest stop along the historic Pony Express Trail, serving horses and their riders alike. 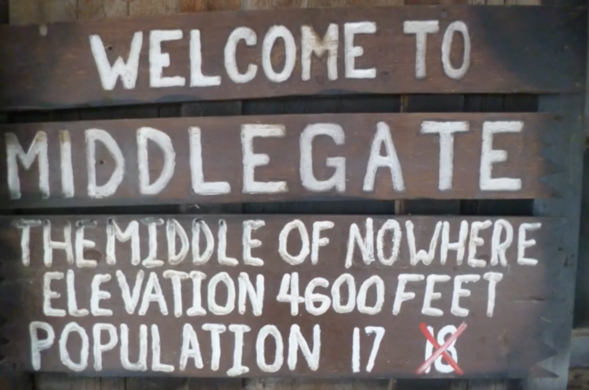 Due to its location between two gate-like cuts in the mountains—known as Eastgate and Westgate—this station became known as Middlegate Station. 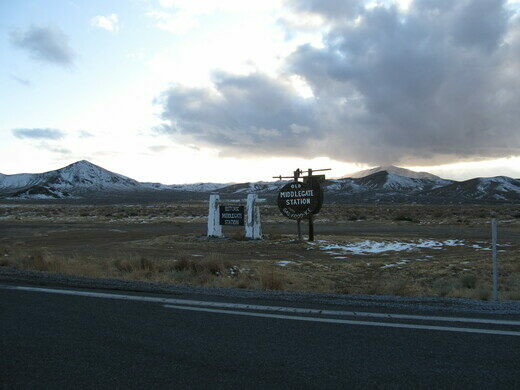 When the Pony Express ceased operations in October of 1861, Middlegate Station remained open, serving as a stage and freight stop for gold and silver mines. Ever since, it has survived as the only gas station for nearly 50 miles in either direction and a rare roadside eatery along the Lincoln Highway. 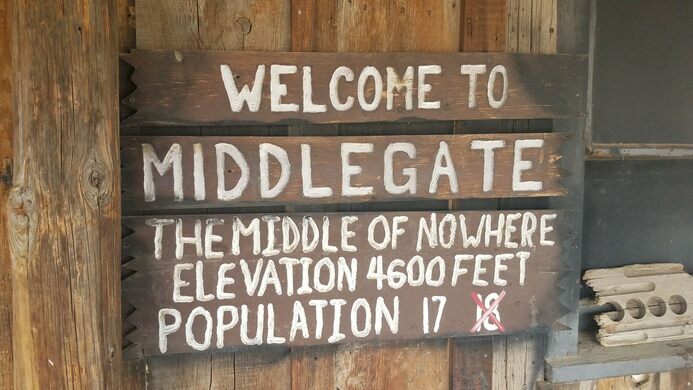 In addition to its rustic splendor, Middlegate Station features the legendary Middlegate Monster Burger, so big that those who finish it walk away with a free t-shirt. And if you feel like leaving a tip, the tip jar is quite a reach: The ceiling of Middlegate Station is covered in cash for decor, and you can make a donation of your own. According to the owner, the cash on the ceiling started because there wasn’t a nearby bank. Regulars would attach dollar bills to the ceiling with their names on it so they’d have some left to spend on another visit. This railroad magnate's 19th century tower is more than a little bit out of place in the Nevada desert. The basement bowling alley of this St. Paul dive bar is decorated with thousands of dollar bills.